We are headed to Disney World in just a couple short weeks. Before we know it we will be strapping these bad boys to our wrists for a fun-filled family Disney vacation. We were so excited to open the mail this week and see our Magic Bands had arrived! The mail has been a source of lots of Disney themed magic lately. I also got Perry's clothes for the trip from my favorite Etsy seller. We are going to get to go to the halloween party at Disney, and wanted something really special for Perry to wear that was classic Disney and also Florida weather appropriate. 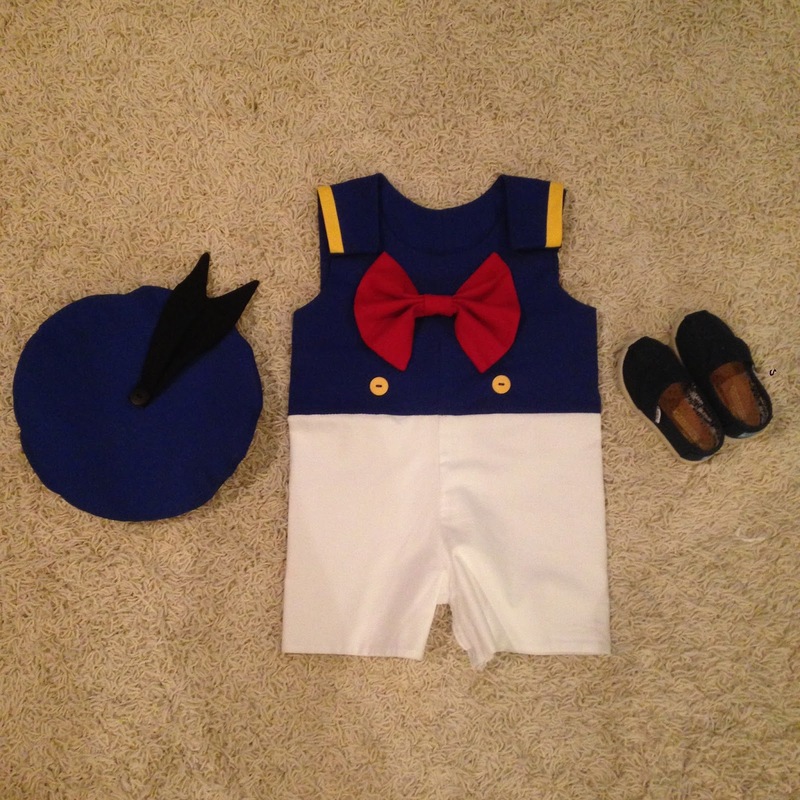 I fell in love with a donald duck jonjon on pinterest somewhere and had "my etsy lady" recreate it. She did an amazing job...and even made a little hat to match. I can't wait to see P all dressed as Donald Duck...meeting the real duck himself. Andrew and I are going to be his sidekicks, Mickey and Minnie. I am a total sucker when it comes to disney appliques. So I had "my etsy lady" make a number of other shirts and jon jons made for him as well, to coordinate what we are going to be doing in the parks each day. I self-acknowledge that I went a little overboard, but they are so stinking cute and should all still fit him on our mommy-son trip back to the World later on this year. It is beginning to look a lot like Disney around our house and around our conversations. When the magic bands (and toddler wardrobe) arrive you know it is getting close.